The Number One Plant Brand now includes trees! Over the last 20 years, we've built one of the most successful shrub brands in North America. 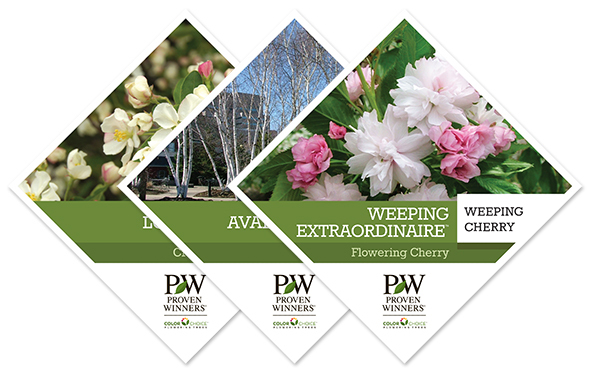 Adding trees to the Proven Winners® ColorChoice® line, then, is a natural outgrowth of our mission to offer the best woody plants on the market. We are proud to work with Maria Zampini of UpShoot to select, distribute, and market the varieties that make up the new Proven Winners tree line. The line will grow each year as new varieties are proposed; several interesting new possibilities are currently under evaluation and/or being propagated to increase supply. Interested in growing, buying, or selling Proven Winners trees? Please contact Maria Zampini at UpShoot, LLC for more information and sources.